Numskull is at it again, bringing video game merchandise to homes everywhere. This one, however, is kind of familiar territory for the company. It is teaming up with Capcom once again to create some new Resident Evil merchandise, this time based off of 2019’s Resident Evil 2. The most noteworthy item in this collection is no doubt the official Resident Evil 2 candle, which claims to be “zombie-scented.” This is similar to the Resident Evil 7 “4D candle” that was released in 2017. While the lack of VR for Resident Evil 2 may make things a little less immersive, it may be worth it for curiosity’s sake alone. 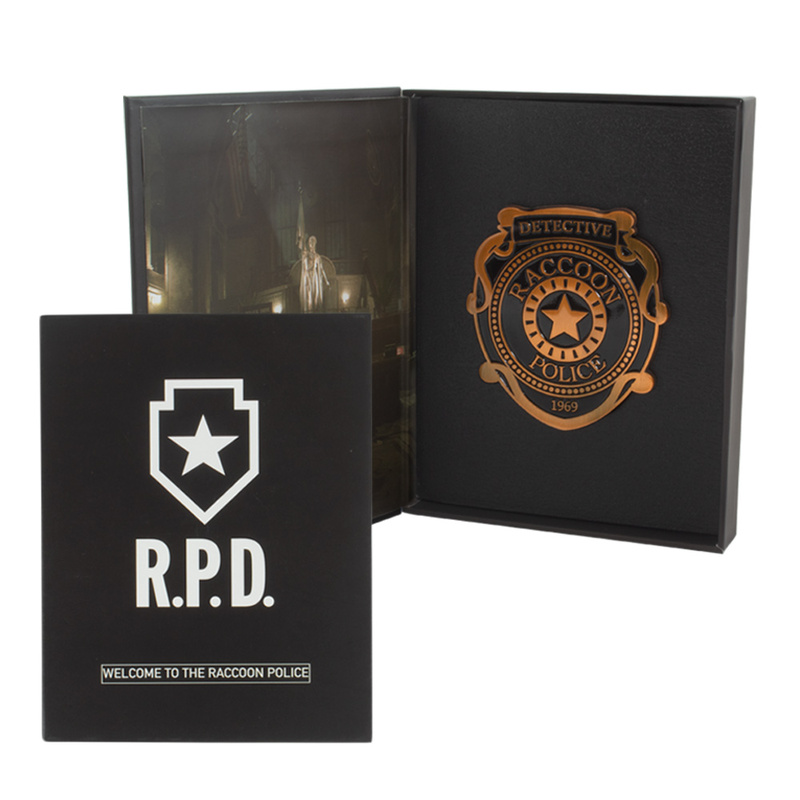 The collection also features an official Raccoon City Police Department pin badge. While you may want to keep it strictly as a collector’s item, others may want to wear it to give them an extra sense of courage while traversing through the zombie-infested Raccoon City. But that’s not the only item you can show off your R.P.D. pride with. Other highlights include an R.P.D. flashlight keychain (for those especially dark hallways), a steel mug, and R.P.D. clothing, as well. It’s not just the police force getting a shout-out in this merchandise line, however. Claire Redfield fans can get their hands on a “Made in Heaven” t-shirt and keychain, as well. It certainly is a cheaper way of showing off your love of Resident Evil 2 than buying the numerous collector’s editions, even if there’s no replica typewriter or keys included in this line. Numskull is quite familiar with video game licenses at this point. From Fallout to Spyro the Dragon, it has merchandise for almost every kind of video game fan. The Resident Evil 2 merchandise officially releases on January 25, 2019, which is the same day the game launches on the PlayStation 4, Xbox One, and PC. You can preorder the items now on Numskull’s website. Will you be picking up any of these items? Let us know!